According to a testimony Thursday from the Treasury Inspector General for Tax Administration, Lois Lerner’s hard drive was destroyed by an impact of some sort, according to Americans for Tax Reform. After the laptop was disconnected between the hours of 5 p.m. and 7 p.m. Saturday, June 11, 2011. By Monday, June 13, it was fully broken. A computer technician looked at the computer and determined the cause of the hard drive failure. "When asked about the possible cause of the hard drive failure, the HP technician opined that heat-related failures are not seen often, and based on the information provided to him, the hard drive more than likely crashed due to an impact of some sort. However, because the HP technician did not examine the hard drive as part of his work on the laptop, it could not be determined why it crashed." 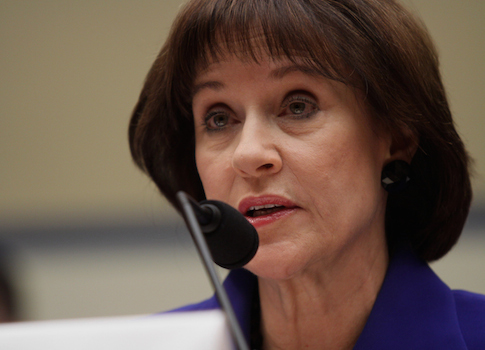 A month later, Lerner asked the IRS computer technicians to recover personal data. Although their attempts to recover information were unsuccessful, they did not do all that they could. The IRS technician "noted some scoring on the top platter of the drive, and he believed there were additional steps that could have been taken to attempt to recover data. IRS IT management determined the extra effort to recover data from Ms. Lerner's hard drive was not worth the expense." This entry was posted in Politics and tagged IRS, Lois Lerner. Bookmark the permalink. Thomas Novelly is a Washington Free Beacon summer intern.